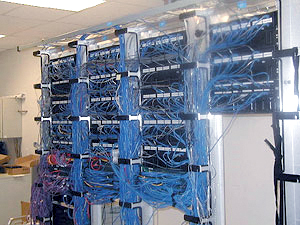 We Safely Move High Value Electronics – PCs, Data Centers, and More! 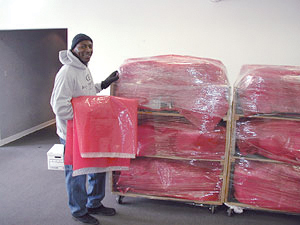 What separates All American Moving, Storage and Delivery from the competition in Columbus and Central Ohio? Along with air-ride transportation, the biggest point is our exclusive “CompuCare” system of moving computers and electronics. All-American is the only company in town to utilize this technology. Unlike our competition, All American DOES NOT use moving pads when relocating electronics, because moving pads carry a tremendous amount of dust and particles which can get into your intake vents, causing your electronics to malfunction or not power-up. Most moving companies will not take responsibility for this event, claiming there was no external damage to the unit – “How did we know it even worked before we moved it?”. All American removes the possibility of this ever occurring with our exclusive process. Your computers are your business – don’t put your business in the hands of just anybody. Please call us for a demonstration of our exclusive “CompuCare” relocation system!